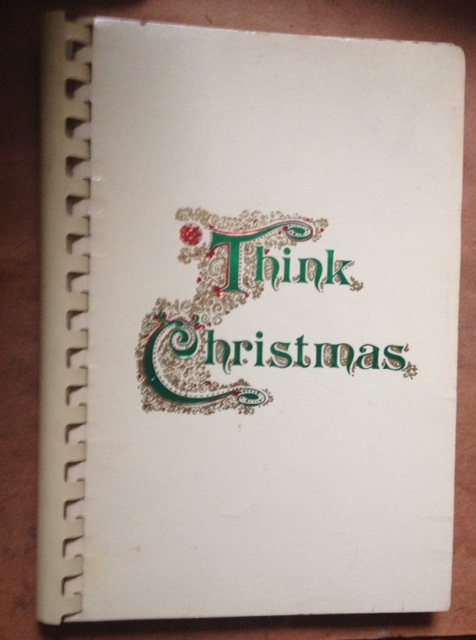 by the Junior League of the City of Washington (D.C.), seventh 1980 printing of 1970 publication. Slick covers with white comb binding, 207 pages. Humorous introduction by Art Buchwald. Recipes from members, dignitaries and a few embassies and restaurants. Recipes run from pp. 110 to 200. One of the grandest, and yet most down-home, comes from Countess Ulle Wachtmesier, wife of the Swedish ambassador. It's called "Swedish Christmas Supper with 'Pytt I Panna' and Guessing Game." The guessing game has to do with kids' stuff under the tree, but Pytt I Panna is basically a hash of mixed meats, onions and potatoes fried in butter and served "very hot on a large platter garnished with egg yolks in their shells," accompanied by marinated beets, spicy mustard, cheeses and rye bread, and of course Aquavit and beer for adults, milk for children. The book came on time and my mom LOVED it. 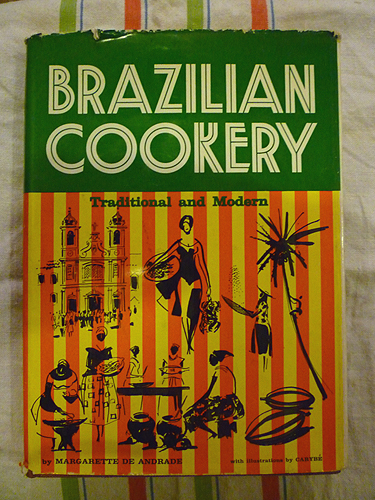 She said she hadn't seen that cover (Brazilian Cookery – Traditional and Modern) since 1964.